Xiaomi Redmi Note 4 confirmed, releasing on 27th July! Home Phablets Xiaomi Redmi Note 4 confirmed, releasing on 27th July! According to the previous media director of Xiaomi, Boyjazz Lu confirmed that on 27th July they will release two new products. He said they will release a Xiaomi notebook and new flagship phone Redmi Note 4. 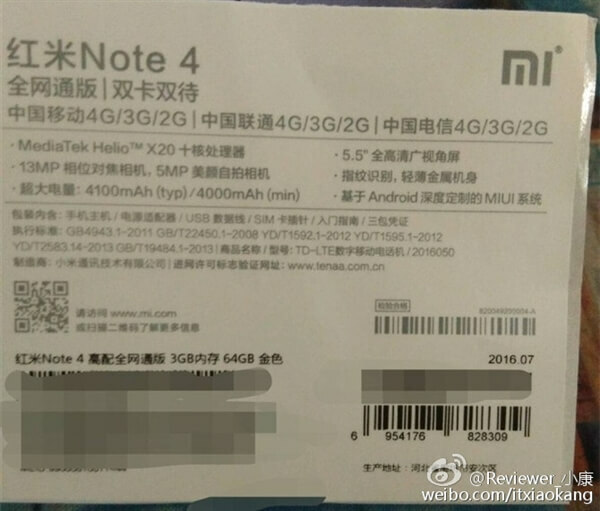 From leaked photo of Xiaomi Redmi Note 4 box, we can see detailed tech specifications. So it will have 5.5 inch full HD screen, under the hood it will have powerful hardware like MediaTek Helio X20 10 core processor with 3GB of RAM. For storage space they have decided to use 64 GB. 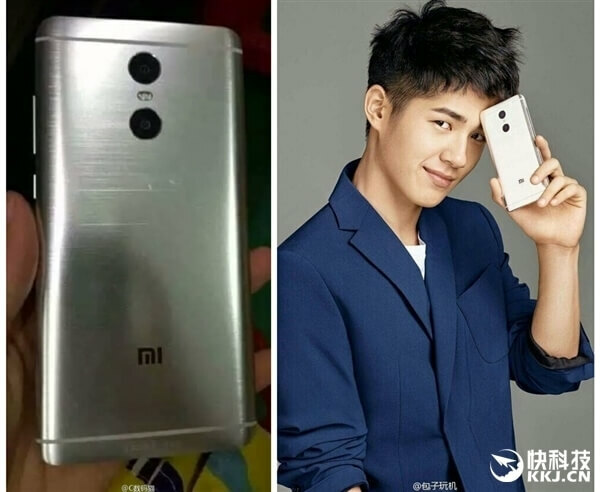 Likewise the front facing camera will be five megapixel where the rear camera will have 13 megapixel camera sensor, and the case will be made from metal. But this is not all because there are some speculations that this version of Redmi Note 4 is not the top version, and there is possibility of coming stronger version with 4GB of RAM and 128 GB of storage space. So I guess at this moment we can only wait to see if the rumours are true or not.